Tony grew up in Cobb County and graduated from North Cobb High School. He was raised in the funeral business – his father, uncles and other family members were funeral directors. After serving in the U.S. Army, he followed in his father’s footsteps and attended Gupton-Jones College of Funeral Service. In 1969, he started out as an EMT with Metro Ambulance Service and worked for Medford Funeral Home in Marietta. 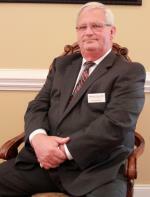 He moved to Griffin in 1973 and worked for Haisten Funeral Home for over 25 years. In 2010, he became the manager of Holly Hill Funeral Home and is now the owner. He has 2 sons and 6 grandchildren. Roger has lived in and around Palmetto all his life. He has been married to Joyce for over 50 years and they have two sons, Larry and Barry, three granddaughters: Tiffany, Taylor and Payton, and one great granddaughter, Dakota. He was a fireman for Fulton County for 33 years before retiring. He has been in and around the funeral business since Bill Wright opened Holly Hill Funeral Home as Wright's Funeral Home in 1974. Larry Bassett grew up around Fairburn and Union City and graduated from Campbell High School. He has been married to Debbie for 32 years and they have two children, Christina and Christopher. Larry worked at the Atlanta Airport for 27 years and has worked for Holly Hill Funeral Home since 2011. He enjoys traveling and spending time at the lake. Joe was a resident of South Fulton county for over 35 years and currently lives in Douglas county with his wife, Ana. Together they have two sons, two daughters, seven grandchildren and one great grandchild. He is a veteran of the US Army and worked for an environmental company as a purchasing manager for twenty years. He currently works for Fulton county. Linda was raised in a military family and later worked as a civilian for the US Army in Arlington, Virginia and Germany. She currentlly resides in Fayette County.